In the digital age, detecting who is under the age limit for access to alcohol has become a tough battle, according to the security staff at several popular pubs and bars in and around the city. BENGALURU: Being under-aged for drinking seems to be no problem for city teenagers, who are increasingly taking the digital route into pubs, and unsuspecting pub managements are getting hoodwinked into letting them in. 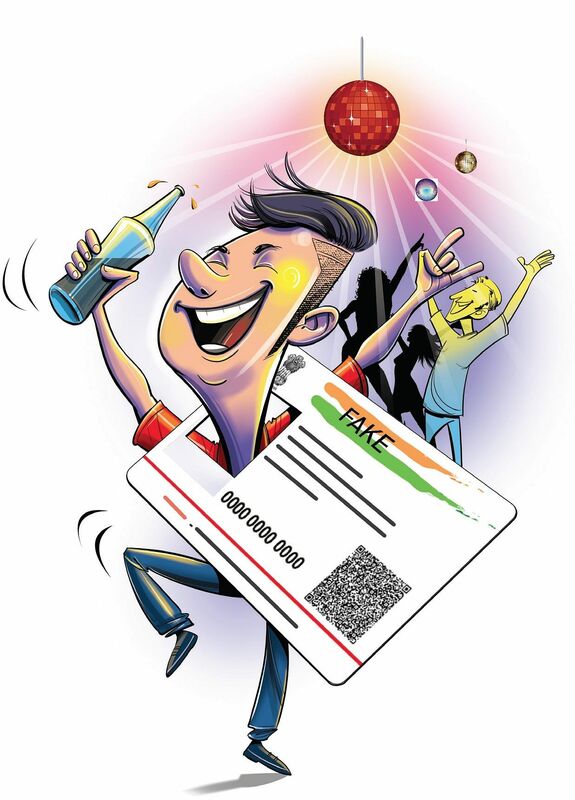 With youngsters unwilling to wait till they cross 21 to be allowed to drink in pubs, they are resorting to creating fake ID cards, using several apps available online, to fool pub managements into allow them access into their premises to binge on. In the digital age, detecting who is under the age limit for access to alcohol has become a tough battle, according to the security staff at several popular pubs and bars in and around the city. And the youngsters are actually proud of what they are doing, though it is clearly illegal. “It’s simple. All we have to do is download the app which helps create a fake Aadhaar card and we can use whatever name and age we want,” says 19-year-old Priya Sharma (name changed), a second-year college student. Most of these apps, while not on the official app stores of Android and Apple, can be found online and installed within minutes. It is not just Aadhaar cards, college-going students have been forging driving licences as well. The ease of use that these apps provide bypasses the need for more traditional methods, like image editing on computers which requires patience and a keen eye for detail. If the images are not edited right, an experienced staffer, who routinely checks ID cards, can immediately spot something askew. However, with the format pre-fed into the fake card maker apps, the process of detection becomes much tougher. “I am aware of school-goers who download images of Aadhaar card from Google and then photoshop them to enter pubs,” Priya adds, saying this has been known among students for quite some time. “The cards generated by these apps are very similar to the original. All you have to do is remove the watermark of the app and one can't tell by visual inspection if the card is an original or not,” says Sejal (name changed), a II year PU student. Priya’s college course-mate, Chirag Raj (name changed), has also been using this app to get into pubs. “Some of the pubs in Indiranagar ask for my ID because I am short and don't even have a stubble like many of my friends my age. So they end up having fun while I get stuck outside,” he explains when asked. Another 24-year-old regular pub-goer who visits Bengaluru from Kerala during weekends says he used to walk around with a fake driving licence which showed his age as a 26-year-old though he was just 17. “At the time, I had a beard and looked older for my age but I kept a fake ID, just in case the pubs did their routine checking,” he says. Rajesh Rajaram, owner of Ebony restaurant, says that he has seen youngsters below their legal age of drinking enter other pubs with a fake ID. “I am aware of the app that helps create these forged IDs. These students mostly enter pubs with DJs and popular bands performing there,” he said. C V Sudhindra, a lawyer, said forging identity cards was an extremely serious offence which could get these students into serious trouble. Those below the age of 18 will be prosecuted as juveniles under the Indian Penal Code. The punishment may go up to seven years of imprisonment if caught. The methods have not yet come to the attention of the police. DCP (crime 1) Ram Niwas Sepat said that action would be taken if such instances were found. The apps ask the user to input a photograph, name and other details usually found on Aadhar cards or driving licences. After this, the details are imposed on to the image of the document which the app provides. 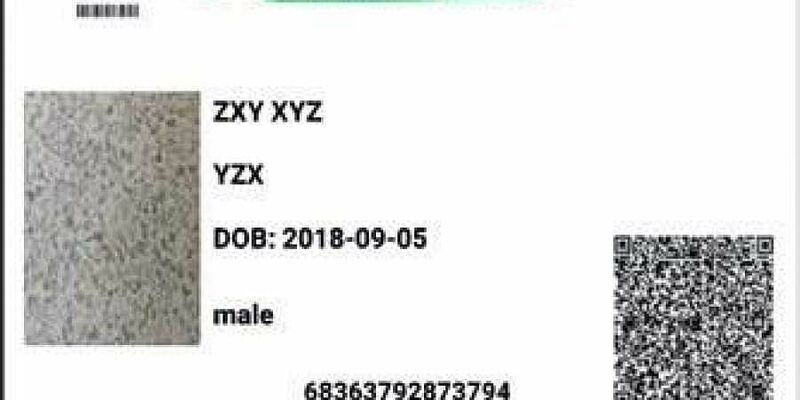 Usually, there would be a tiny watermark identifying the card as fake or a prank, but this can be removed by editing the image. A printout of the same can then be taken and laminated.